For fans of community suffering from withdrawal after finding out the show of misfits has been definitively cancelled, you can take solace by watching Last Week Tonight with Dr. Ian Duncan. Some of you may know him as John Oliver, the annoying British guy with accurate commentary on the decaying state of western civilization. I will let most of tonight’s episode be a surprise to all of you but let me warn you that the graphics you see cannot be erased from your mind. No matter how hard you try. The debate on climate change should not be whether it exists; it’s what we should do about it - JO. But I do want to draw attention to the last segment where John Oliver discusses the disparity in climate change media where there’s still a debate on the issue and the scientific community where 97.1 % have confirmed that humans are contributing to global warming. So why does this disparity exist? The release of the US National Climate Assessment brought about an onset of media stirring the pot on the merits of the report. 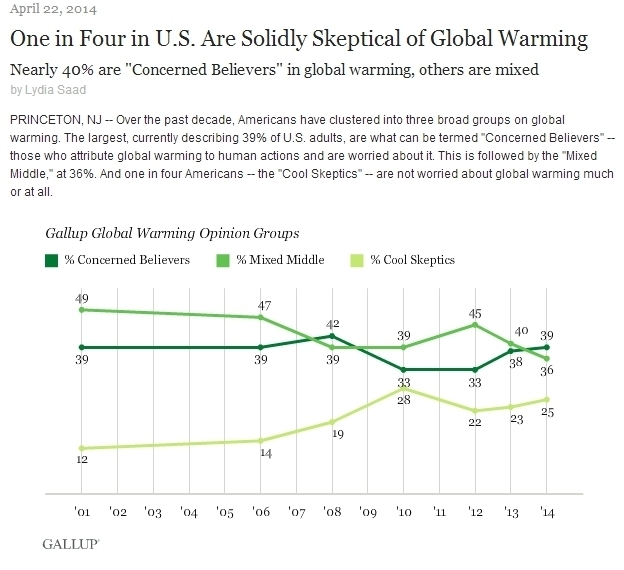 The reporter (with exorbitant makeup) presents the argument that according to the Gallup poll 1 in 4 Americans are skeptical of climate change “and thinks this issue has been exaggerated”. And like music to my ears, Oliver responds and points out the basic difference between an opinion and a fact. We shouldn’t be arguing and sharing our opinions on a fact. That’s the point of a fact! I haven’t come across Gallup before really but find their diction interesting. What made them decide to go with “cool skeptics”? To the public, can it misleadingly suggest that it’s a category that you might want to be belong to ? If you say Pharrell is cool, that’s fine. Neil deGrasse Tyson is undeniably cool. I assume that ‘cool’ is referring to how confirmed and settled they are in their views, like water particles in an ice cube (you know … because when you increase the temperature and it melts into water … they start moving around and the kinetic energy of the particles increase… like “concerned believers”). For future polls, maybe they should consider changing it to “uninformed skeptics” in this particular context. As you scroll down the article detailing the poll methodology, it becomes apparent that predominantly male, conservatives over 30 make up this “cool” demographic. 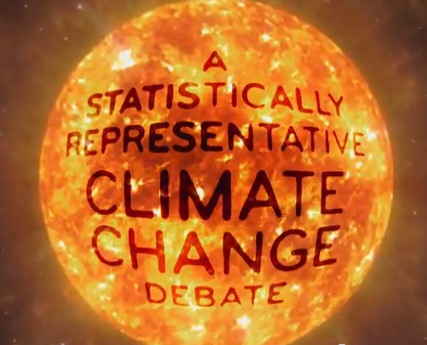 Anyways, going back to the segment, Oliver then examines why the debate on still persists on TV and how a screen with two people of opposing views credits unfair and deceptive leverage to climate change skeptics. Earlier this week, the video of Bill Nye arguing with an insatiably annoying panel defending climate change had been circulating on my feeds. You can read more about how Nye takes on ‘Crossfire’ here and find the video clip below. Needless to say more, the point of dramatizing this skit eludes to the false perception viewers still have on the climate change debate. So, will such a change in representation make a difference? I can at least extrapolate that those taking comfort in the “mixed middle” and “cool skeptic” demographic might be forced to question their assumptions if they literally see the scientific community in contrast with the 2.9 %. Maybe it will turn up the heat and stir things up a little bit. 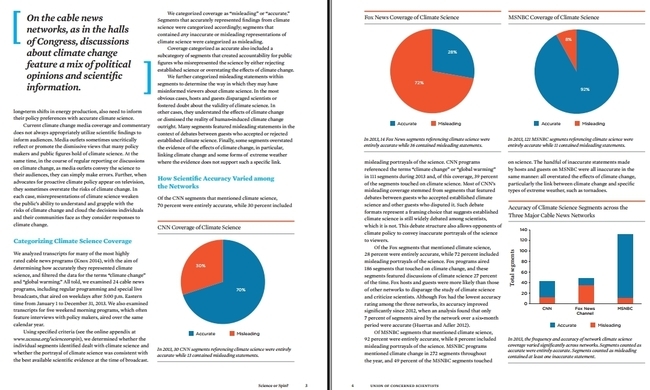 Aaron Huertas and Rachel Kriegsman recently published the Union of Concerned Scientists report on assessing the accuracy of cable news coverage of climate science [April 2014]. The study finds that “statements from policy makers and related media coverage exert significant influence on public attitudes toward climate change.” You can see from the pie charts below the accuracy of climate science coverage by CNN, Fox, and MSNBC. So, media plays an instrumental role in informaing and shaping public opinion. Just because 25 % of the population may believe something doesn’t exist doesn’t mean we should reinforce this wrong belief. If suddenly 80 % of the population thought sunscreen was no longer needed, it doesn’t mean that we should now stop producing them. We can just leave them to get burned and eventually they will realize they were wrong. Only, as absurd as the example was, we don’t have the luxury of taking our time and dragging on this non-debate. While our actions to address climate change won’t result in immediate changes we can physically see, we are setting the stage for the impacts humans will face decades from now. And that’s where the test lies: whether self-interest prevails or whether we can think beyond our own needs. And yes, owls exist. Ask Harry Potter. 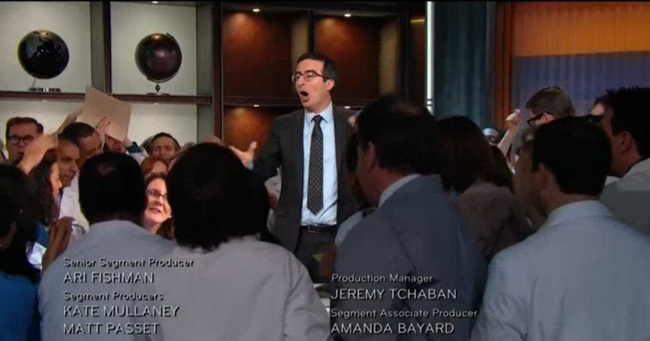 Do yourself a favour and make sure to catch Last Week Tonight every week for some harsh reality and inappropriate humour in the immoral wild west of HBO. And last night’s episode is a must-watch. “We have been repeatedly asked, don’t you want to leave a better earth for your grandchildren? Black women take back the night.